Flexible computational infrastructure, software tools and theoretical consultation are provided to support modeling and understanding of the structure and properties of nanostructured materials. 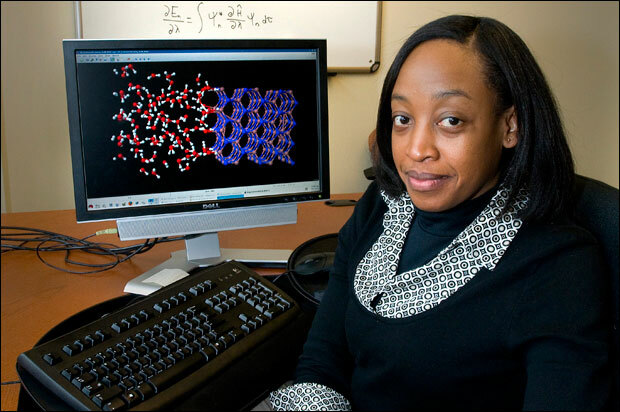 CFN staff members have research expertise in areas that include nanoscale structure formation and assembly processes, bonding and atomic-scale structure, electron transport, optical and electronic excitations in nanomaterials, and homogeneous and inhomogeneous catalysis. Each user project will be guided by one of the staff scientists with appropriate expertise. Engagement with staff scientists will follow the needs of the user project, ranging from support for independent computations by the user team to expert consultation or collaboration with the user team as appropriate.